with your name and address and I will forward them to Stephen so he can mail your cookbook to you. Visit Stephen's blog, The Obsessive Chef. Mexican Christmas cookie recipe called, Biscochitos! 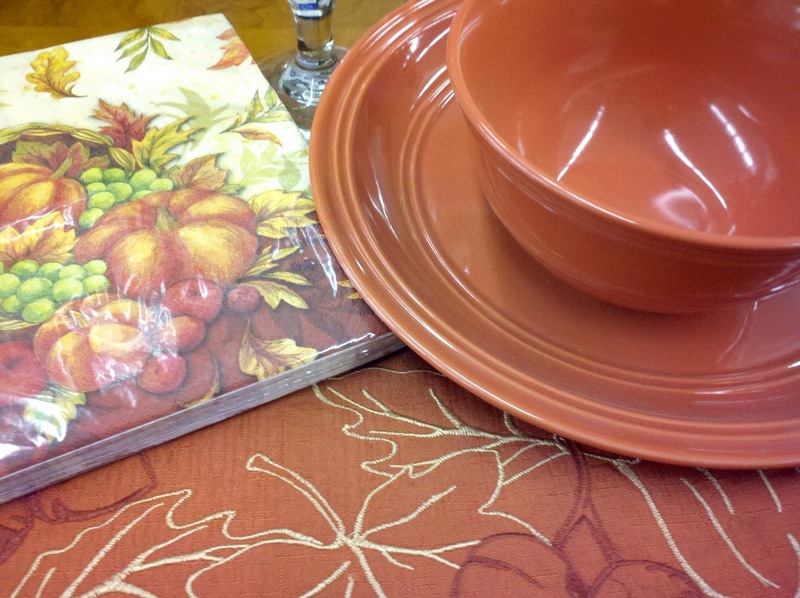 My friend, Pam, of, Pam's Midwest Kitchen Korner, is taking some time off from blogging. But she has incredible recipes in her archives! Form Italian sausage to fit hoagie buns. In large skillet, fry Italian sausage until cooked through. Place hoagie buns under the broiler and toast until golden brown. Remove from oven and place sausage patties on bottom part of the buns. Arrange peppers over top of sausage patties. Sprinkle mozzarella cheese over top. This super simple sandwich is one of my husband's favorites. The spicy sausage, with the sweet pickled pepper rings, and the melted mozzarella cheese, all on a toasted bun, is a combination my husband thinks can't be beat. I have tried to talk him into making changes to the sandwich, but he has asked me not to "mess" with his sandwich, so I guess I will leave it just like it is. My friends are taking some time off from blogging, but they have incredible recipes in their archives! Sometimes when my husband, Stan, goes to the store for me he will come back with an ingredient that is close, but not exactly what I asked for. There are so many different types of canned tomatoes, the guy can't be blamed for getting mixed up about what I need. If I get canned whole tomatoes by mistake, and I needed chopped or diced tomatoes, I pull out my kitchen shears and cut up the tomatoes while they are still in the can. It is quick and easy and there is no mess. Be sure to enter the Giveaway for Stephen's cookbook! My version of Stephen's recipe. In large skillet, saute mushrooms and onions in butter over medium high heat until onions are translucent. Add garlic. Saute until lightly golden brown. Add turkey, chicken stock, and peas. Bring to a boil. Reduce heat to medium low. In small bowl, combine cornstarch and 1/3 cup cold water. Mix well. Cook until thickened. Salt and pepper to taste. My friend Stephen, aka The Obsessive Chef, has published his cookbook, A Cook's Books for Cooks. I am one of the lucky bloggers who received a copy of his book to use for a giveaway. 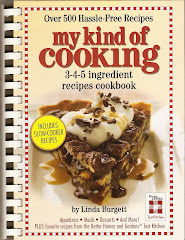 The cookbook is so full of delicious recipes, it made finding just one to make for this post a difficult task. I finally decided on his, Chick on Biscuits, recipe. At the urging of, Stephen, I change the recipe to fit my family. My husband loves biscuits and gravy, and this recipe is a nice change from the traditional biscuits and gravy recipe that I make with the leftover Thanksgiving turkey. Below is Stephen's original recipe. from Sunday school and church. ready. But don’t add any salt until the reduction is complete. have to decide for yourself when it’s thick enough. remaining Tbs of butter in it. find a place to buy retros. This is a cookbook which is perhaps unlike any other you have ever read. It almost has a plot! It reads like fiction. It's full of mouthiness, according to the author, Stephen Crout of the The Obsessive Chef blog, and he likes to think of it as wit. You may not agree with everything, Stephen, has put in the book, but if you love to read cookbooks, then you will enjoy this book. Mixed in with the stories, are helpful cooking tips, and delicious creative recipes. Stephen's, goal with this cookbook is to inspire you to think out of the box, and get creative in the kitchen. Along with his incredible recipes, are lists of ingredients without the exact amount needed, so you can experiment and create a recipe that is fitting to your taste, not his. He has been advocating in recent years: don't be a slave to anything in the kitchen. Use what you have and make what you want. It's no big deal! It is easy to have a chance to win a copy of Stephen's cookbook. 1. Follow my blog with Google Friend Connect (The box is on the right side of the blog, click the "Follow" button) or "Like" my Facebook page. The winner will be picked randomly and announced on Monday, November 28th. Stephen told me to take one of his recipes and recreate it, so for Friday's recipe that is just what I did. for my version of one of Stephen's recipes. it is a great after Thanksgiving leftover recipe! My friend, Deana, entered this recipe in one of my contests at the Iowa State Fair. When I saw the cranberries, I knew it would be perfect for an after Thanksgiving recipe. Deana used chicken in her original recipe; I changed it to turkey. I love Thanksgiving leftovers, but after a couple of meals of the same thing, it is time to change it up. Cranberry Turkey Casserole, is a delicious way to do that. The cranberries add a sweet contrast to the savory ingredients in the recipe. I also swap turkey for chicken in my most popular recipe, Green Chile Chicken Pasta. Another recipe that I like to make with leftover turkey is my Layered Turkey Enchilada recipe. Below are a few of my favorite Thanksgiving recipes. I love Thanksgiving! A whole day centered around being thankful for all the blessings in our lives. Being surrounded by family and friends, as we all stuff our faces with yummy comfort food. I use the tips below to help me spend more time with family and friends, instead of being stuck in the kitchen, missing all of the fun. 1. Shop Early. 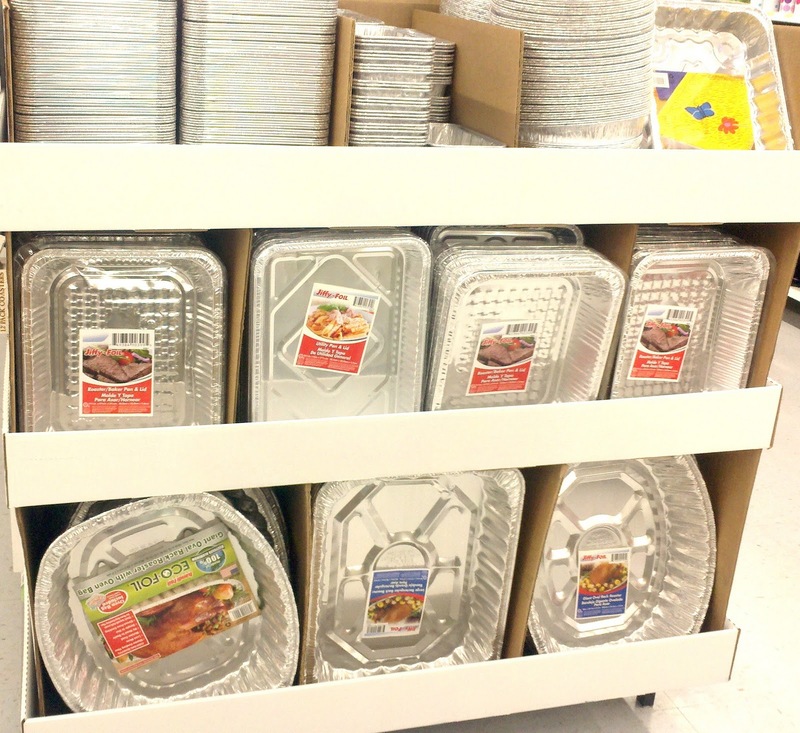 Stores already have the items you need for a great Thanksgiving meal on the shelves and they are typically on sale. 2. Start cooking now. Cook and freeze as many of the desserts and side dishes as you can. 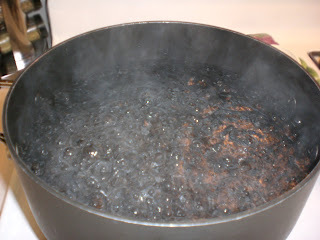 If a dish cannot be frozen, prepare as much as you can a day or two ahead of time. 3. Use disposable pans. There is no shame in using pans that you can cook in, then toss in the trash for easier clean up. You can transfer the cooked food into pretty dishes for serving if you prefer. 4. Use your slow cooker. 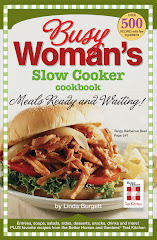 A lot of dishes can be cooked in the slow cooker. By using it, you will free up space on the stove top or in the oven. 5. Spread the load. Ask your guests to bring a dish. Be specific about what you want them to bring. If you do not assign a dish for them to bring, you could end up with 5 trays of cut up vegetables. 6. Set the table the night before. Get your kids and spouse to help with this one. Many hands make light work. 7. Keep the kids occupied. Cover the table with paper and have crayons on the table for the kids to get creative with. One year, I forgot to get paper to cover the kids table with, so instead I took birthday wrapping paper and turned it over so the white backing was showing, then I taped it to the table. It worked great! 8. Have appetizers ready for the early birds. No matter how often you stress the time for people to be there, you know someone is going to show up early. Have a few light and easy snacks to hold them over. Fresh fruit, veggie tray, cheese and crackers, etc. 9. Clean as you go! By doing this, you will have more time to spend with your guests. 10. Have fun and remember what the day is really about! In a large skillet, brown the ground beef. Drain the grease. Add to a 4 quart slow cooker. Add the remaining ingredients. Add 1 cup of water. Mix well. Cover with a lid. Cook on low 4 to 6 hours. On Wednesday nights, I experiment, I mean I cook, for the youth group at our church. Last week one of the kids asked me to make Taco Soup, so that is what I did. The kids all loved the soup, and said I am going to have a hard time topping the meal next week. This soup is mild enough for your whole family to enjoy. The corn gives the soup the flavor of a corn tortilla. But to make it even more like a taco, I cut corn tortillas into strips. 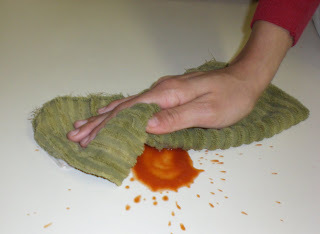 You can skip this step and just leave the corn tortilla strips off, or use store bought tortilla chips instead. I fried the corn tortilla strips in a small amount of oil until they were golden brown. I drained the tortilla chips on paper towel. The strips were light and crisp. Next, I arranged the tortilla strips on top of my Taco Soup, and sprinkled cheese over the strips, and put a dollop of sour cream on top. Thanksgiving Tips & Tricks post! What is your favorite soup? Do you have any tips you could share? Ashley of What Does a Songbird Sing! Slow Cooker Taco Soup recipe.